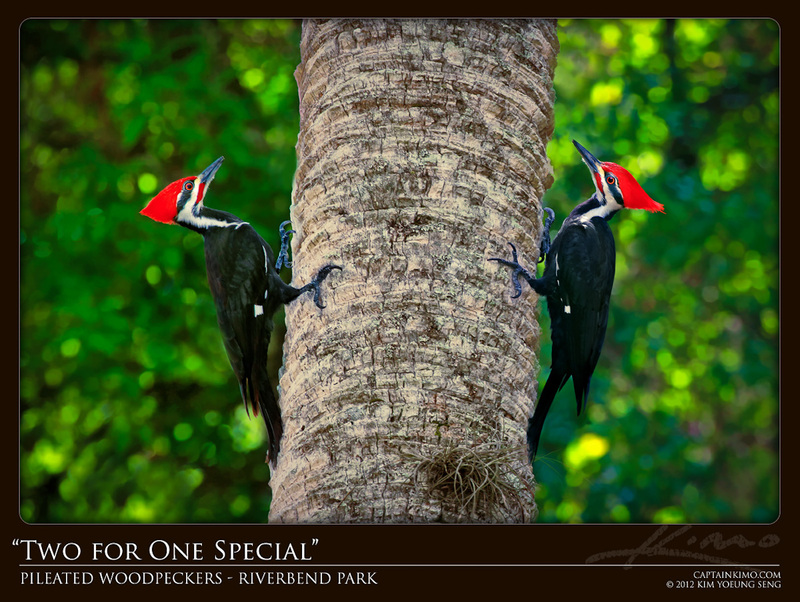 Going back through some of my old images I ran into a pair of Pileated Woodpeckers taken from Riverbend Park. I totally forgot about this photo outing I did a while back. I wonder how many other good outings I forgot about, lol. I’ve never gotten a good Pileated Woodpecker shot before and when I had a opportunity to photograph this pair, it was like a two for one special. Finding one Pileated Woodpecker is hard enough, but to get two was a real treat! This was a single exposure HDR image processed in Photomatix. The colors came out awesome after tone mapping in Photomatix Pro using tone compressor.